Home Prices Continue To Rise Across The Nation : The Two-Way The latest S&P/Case-Shiller Home Price Indices report shows year-over-year gains in 20 major cities. It's another sign that the housing sector, which crashed in 2007 and 2008, is on the mend. A home that was for sale earlier this month in Washington, D.C.
"Despite some recent mixed economic reports for March, housing continues to be one of the brighter spots in the economy," economist David Blitzer, who directs the work done by S&P Dow Jones Indices, says in the report. -- The average home price in the 20 cities rose 9.3 percent from February 2012 to February 2013. -- From January to February alone, prices rose 0.3 percent. -- "Phoenix continued to stand out with an impressive year-over-year return of 23 percent." -- There were also significant year-over-year price increases in Las Vegas (17.6 percent), Atlanta (16.5 percent) and Detroit (15.2 percent). 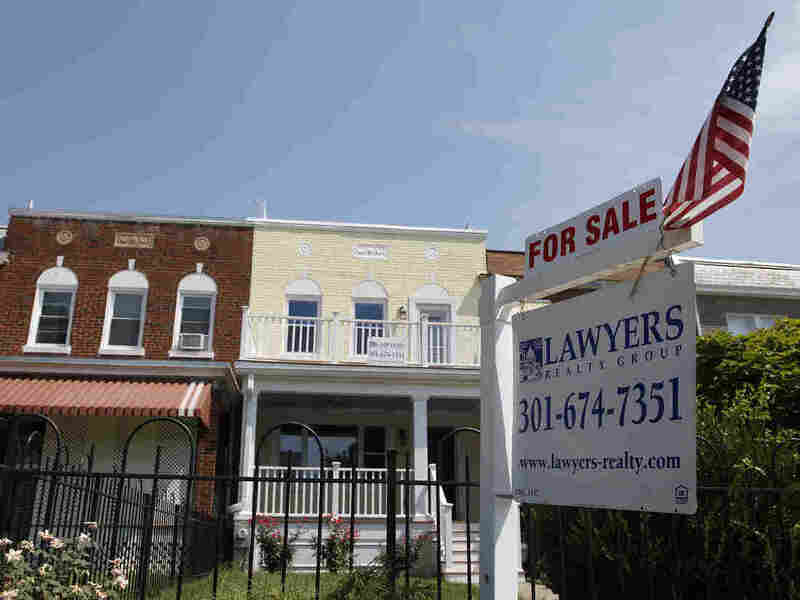 Bloomberg News says the report is another sign that "the U.S. housing market is strengthening."